Benjamins are pleased to present this three bedroom end-terrace property on Greencroft, Clifton. 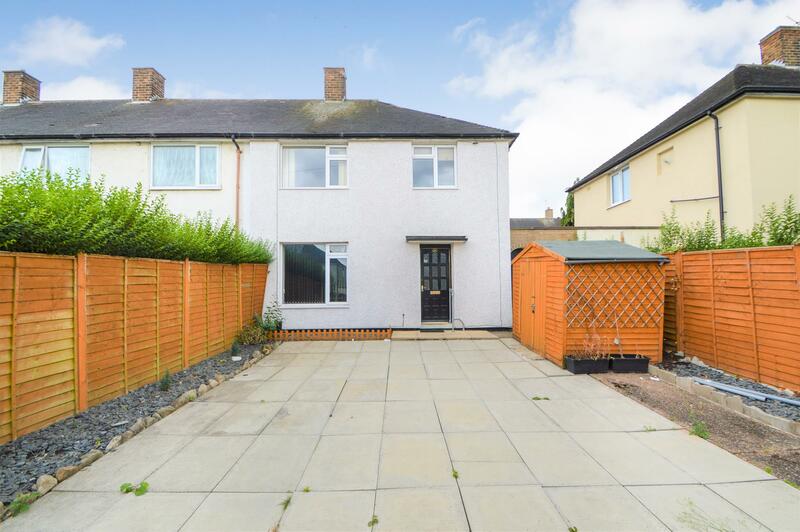 This three bedroom end terrace property benefits from having external insulation and NO CHAIN, located in a popular residential location in Clifton. Also in a great location for the local shops, leisure centre, public transport bus and tram stops with easy access into Nottingham City Centre. The accommodation briefly comprises; Entrance Hallway, Living Room, Kitchen & Dining Room. Upstairs there are three good sized bedrooms, a family shower room, enclosed front & rear gardens and plenty of off road parking. To appreciate the potential on offer please call to arrange a viewing with Benjamins Sales on 0115 9371713. 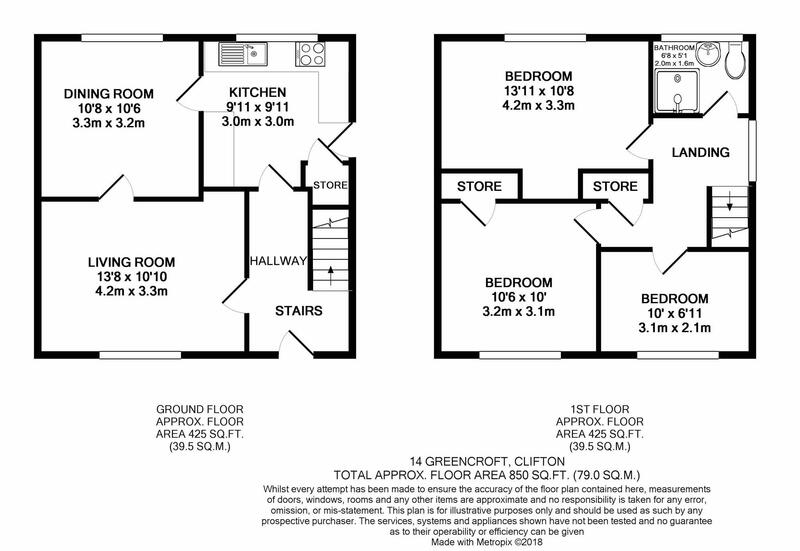 Front door into entrance hallway, door into living room & kitchen, radiator, pendant light fitting, under stairs cupboard housing electrical consumer unit, gas & electric meters and stairs up to first floor landing. UPVC double glazed window to the front aspect, ceiling light fitting, carpet, radiator, electric fire with surround, door into dining room. Kitchen has a rang of base and wall cupboards with worktops over. Sink with drainer & mixer tap, gas hob & electric oven, plumbing for washing machine and space for fridge/freezer. Wall cupboard housing combination boiler and storage cupboard for ironing board etc. There is a door to side of the property & window overlooking the rear garden. Window overlooking the rear garden, ceiling light fitting, radiator, laminate flooring, doors into kitchen & living room. Window to the side aspect, access to loft via hatch, carpet to stairs, doors to shower room & three bedrooms. Shower wet room with electric shower with hand wash basin & low level wc, radiator, window to the rear aspect. Window overlooking the rear aspect, ceiling pendant light, radiator & laminate flooring. Window overlooking the front aspect, ceiling pendant light, radiator, carpet & built in storage cupboard/wardrobe. Window overlooking the front aspect, ceiling pendant light, radiator, laminate flooring & built in storage cupboard/wardrobe. The rear garden is low maintenance with laid lawn, patio & a decked area. Gated access round the side of the property to the front. The front of the property has off road parking & shed. The local authority Nottingham City Council has advised us that the property is in council tax band A, which we are advised, currently incurs a charge of £1,307.56 (2018/19). Prospective purchasers are advised to confirm this.